Dr. Thomas Seiler was an undergraduate at Iowa State University. He attended Pacfic University College of Optometry in Forest Grove, Oregon. He received his Doctorate of Optometry in 1979. 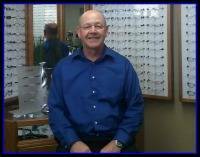 He served as an optometrist in the US Navy from 1979 to 1984. Dr. Seiler has been an active member of the community of Moses Lake. He is a member of Moses Lake Christian Church and the Moses Lake Lions Club.